I was really aiming for something Christmas related to present for you, since there is only 11 days before this peaceful holiday, however I found this conference so interesting, I had to write about it. Apparently, malnutrition is the lack of proper nutrition, which can be either undernutrition or overnutrition. So if, the 10th annual Nestlé International Nutrition Symposium, captured by Klewel, has stated that obesity is becoming a global epidemic, malnutrition already is a global epidemic. So much so that 7 national initiatives were submitted for consideration for the 2013 MNI grant of EUR 30.000 in the subject of how to fight the battle against malnutrition the most effective way on the national level. 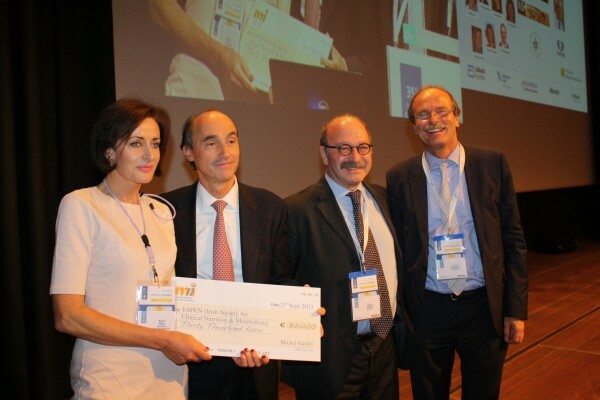 MNI Grant 2013 was awarded to “Fighting the malnutrition battle: The Power of Partnerships” supported by IrSPEN, Irish Society for Clinical Nutrition and Metabolism. The presentation of their initiative program can be found as the 4th talk in the webcast by Mrs.Rice. She is talking about this fight being an ongoing battle and it has just started by recognizing the importance of the issue. The other candidates presenting their case for the award, like Mr. Chourdakis in the 3rd part of the webcast, he points out the difficulties of gaining the deserved recognition by the government in a form of a new legislation. Reading this and our previous posts, it is obvious that Klewel is very active in medical conferences and actively collaborating with the Medical Nutrition International Industry (MNI). MNI and ESPEN have recognized the importance of sharing science-based information to educate people. This is where Klewel solutions provide an extremely useful tool for them. By recording and archiving their conferences, workshops and symposiums they are able to educate us on these rather interesting topics. Our Triskel station archives the contents in a way that is easy to retrieve, watch and search later. 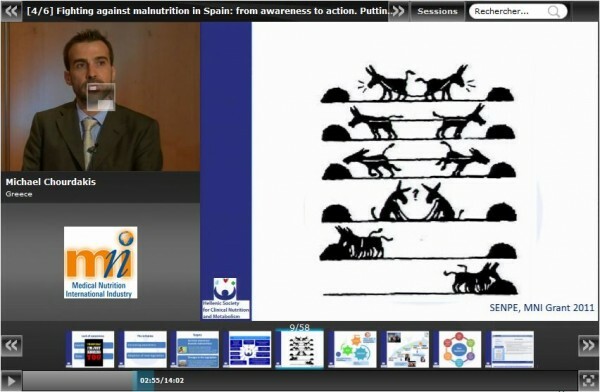 The ESPEN congress is the European meeting in the scientific and educational arena of clinical nutrition and metabolism. The 35th ESPEN Congress was held in Leipzig in September in 2013. The European Society for Clinical Nutrition and Metabolism (ESPEN) promotes: basic and clinical research; basic and advanced education; organization of consensus statements about clinical care and care quality control. The aims of ESPEN are to encourage the rapid diffusion of knowledge and its application in the field of parenteral and enteral nutrition. It had an interesting, broad program, offering both updated and cutting-edge science, as well as clinical practice. The educational program includes clinician as well as nurse, dietitian and pharmacist sessions. The ESPEN Life Long Learning (LLL) program includes fully revised topics and continues to award its diplomas in Clinical Nutrition and Metabolism.